LIBERTY PIN - HEY JULES! 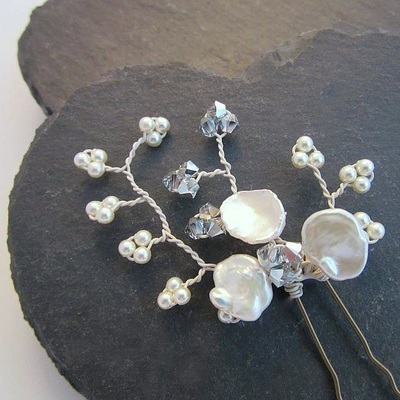 The Liberty Hairpin is made with a clusters of keshi pearls and little branches of silver Swaorski crystals and soft cream pearls, and can be worn in many ways. It's perfect as shown here on an up-do for a touch of sophistication. 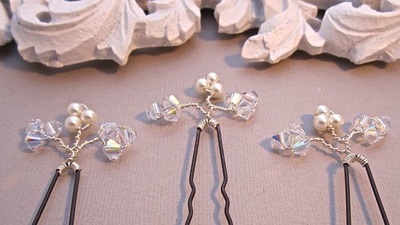 MADE TO ORDER – The Liberty Hairpin is custom made to order. 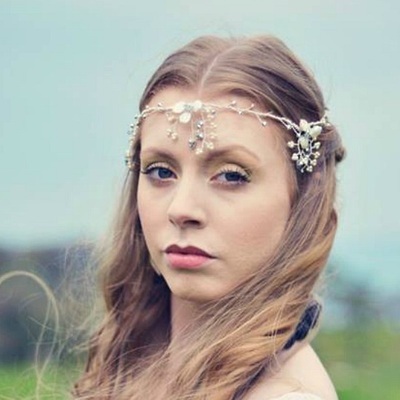 You could have the detailing altered to match the detailing on your dress. 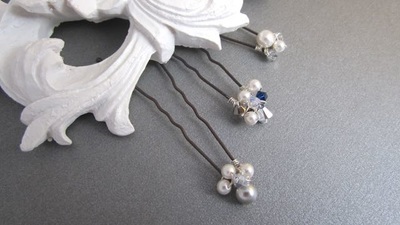 The Liberty Long Hairpin is a little longer then the original for those wanting a more eye-catching piece. 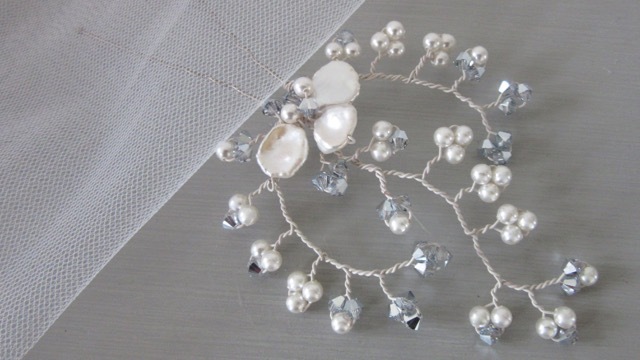 It's made with a cluster of keshi pearls and little branches of silver Swaorski crystals and soft cream or ivory pearls, and can be worn in many ways. 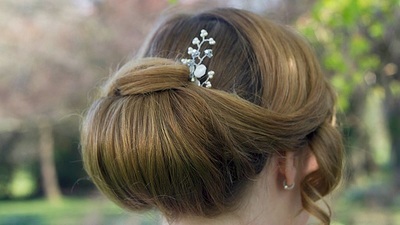 It's perfect as shown here on an up-do for a touch of sophistication.